Perfection does not exist on earth. Every person and thing is slightly flawed. True “perfection” is God’s exclusive domain. There is good evidence to support the fact that you are not Him. Are you chasing the mirage of worldly perfection? Have you perhaps unknowingly signed up for a lifelong unicorn hunt of futility? Could your frustrations be reduced by accepting “OK,” “Good Enough,” “Better,” and “Best I can do with what I have to work with” as valid answers to your life’s challenges? Perfection in this world is unattainable and unrealistic. Is pursuing something unrealistic a wise way to live? “Perfectionism is a misguided pursuit of excellence. A genuine love of excellence is rooted in a conviction that God deserves our best and that other people deserve nothing less. But the perfectionist is self-centered: excellence has become an end in itself. Perfectionists are always dissatisfied-with themselves and with others. Their work is never a joy because it is never good enough. They are never good enough. Gordon T. Smith. Courage and Calling: Embracing Your God-Given Potential (Kindle Locations 1327-1331). Kindle Edition. You may never achieve “Best” by the world’s measure, but you can be your best you! What can you do today to move yourself one step closer to being your personal perfectly imperfect best? Have you discovered your strengths and limitations so that you have some idea of what you are working with? Visit my Website, www.lifematchesbook.com and download the free worksheets to see if you can fire up your life in 2012! “Nobody’s perfect.” is a true statement. “We can be better.” is also probably a true statement. If you are not getting what you want out of how you are choosing to live your life, then is continuing to do more of what you are not happy with, the most effective strategy to be happy? Too often we do more of what worked for us once, even when we are confronted with undisputable evidence that we are failing to be successful in achieving our desired goals or outcomes. It’s tempting to say, “I guess I’m just not good at that anymore.” When in reality, you may be suffering from too much of a good thing. Overuse or misuse of a personal strength can often appear to others as a personal weakness or limitation. In my book, “Life Matches: Fire Up Your Life!” I suggest that a great way to uncover and understand your natural, personal strengths is to purchase Tom Rath’s best-selling book, “StrengthsFinder 2.0” and complete the accompanying online personality assessment. 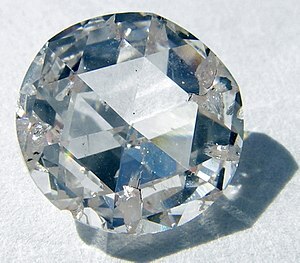 Achiever-Feels most satisfied with daily, tangible accomplishments. Activator-A person of action–a doer. Belief-Hardwired internal values and ethics determine choices and behaviors. Learner-There is always something new to know in life’s laboratory. Maximizer-Make the most of the personal gifts you have been given. In my professional roles as a motivational speaker, human performance improvement specialist, trainer and executive coach, I regularly blend my strengths to perform in ways that successfully meet the demands and expectations of these roles and provide a great sense of personal satisfaction. That’s how it works for me on a good day, when I’m at my best. On a not so good day, when I’m not able to come up with a winning strengths blend, I tend to choose my strongest strengths by default and things don’t always work out as well. For example, when my achiever-self teams up with my activator-self and desperately want to “just get things started so we can get something done!” I can appear to others as someone who is lacking in patience, prudence and might be someone who is prone to rushing to judgment. But, hey man, I am just trying to use my strengths to fire up my life! What could be wrong with doing that? 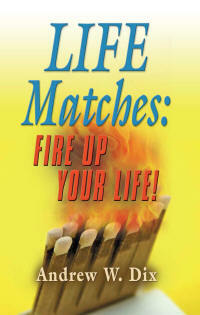 A “Life Match” represents the flame of one of your personal strengths and when used properly, they can fire up your life. When used inappropriately, they can become an overly large open flame in an explosive environment which can cause a disaster. Many of my executive coaching clients are often frustrated when their most natural behaviors do not get them their desired results. For example, an exceptional former salesperson whose strength of persuasive influence provided him/her years of sales awards, might be shocked to have his/her peers and staff described this same behavior as appearing overly pushy, manipulative and inflexible during a 360 degree feedback report of his/her performance as a sales manager. One’s strength in one role can be perceived as a weakness in another role or situation. It’s not that one’s strength has suddenly become a weakness. The strength has just been inappropriately used. It was the wrong tool for the wrong job. Sometimes using 50% of a limited capacity may yield more effectiveness than using 100% of an inappropriate strength. How do you know if you are abusing your strengths? Ask people who care enough about you to be candid and brutally honest, which of your behaviors irritate, bother and bug them the most. As you begin to get a picture of how others view your behaviors, you can then evaluate your motives, desired outcomes and most importantly, your tactics or behaviors that you used to try to achieve your desired outcome. If you are lucky, your workplace may provide you with an opportunity to participate in a program that offers anonymous 360 degree feedback of our performance. Your report will typically give you an idea of how others perceive your behaviors. You can then explore what behaviors and strengths you are using and decide if they are the appropriate ones or if there is an area of limited capacity that you might need to better manage around. For example, if one of your strengths is the ability to focus your attention for extended periods of time while working on a project it might allow you to produce an exceptional volume of work in a relatively short period of time. The challenge might be that this focused work might cause other areas of your work to suffer, such as responding to co-workers’ e-mail messages or allowing telephone calls to divert to voice mail. Your hyper-focus might be perceived by others as negligently ignoring them or as being unresponsive to their requests. You may not have an actual weakness in communication, but your hyper-focus strength might be so strong that it overpowers your desire to be available to collaborate. A professional coach is an excellent resource to help someone sort out which of one’s behaviors are counter-productive. A coach can often see behavioral blind spots and bring them to one’s attention. Once someone is aware of one’s blind spots, s/he can choose the most effective behaviors in a given situation that are most likely to achieve the most desired results. It is possible to behave in ways that leave others feeling like someone is too much of a good thing. That’s a bad thing and can become a limiting factor in one’s career advancement. Knowing your strengths is a great start to living a fired up life, but knowing the proper strength to use in a given situation and the appropriate intensity of that strength is usually wisdom gained from candid feedback and thoughtful reflection. If you are feeling ineffective, perhaps using too much of one or more of your strengths is to blame.